I identify as a 1950's writer trapped in the 21st century. I’m glad to announce that my short story ‘The Turtledove’ will soon be available to listen to on Audible, narrated by the fantastic Roland Harrad. For those of you who don’t know, ‘the Turtledove’ is a short fiction story about the life of Edgar Carlisle; a middle aged man suffering from moderate stage Alzheimer’s disease – a fragile topic close to many of our hearts. Stay updated for more information. 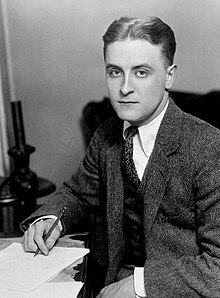 F. Scott Fitzgerald - Francis was notoriously one of the most exceptional American writers of the 20st century. Most famous for his brilliant novel, the Great Gatsby.